zcomm has extensive experience in marketing brands across a variety of industries, including consumer, healthcare, beauty and fitness, food & beverage, financial, pet care and lifestyle. The agency markets to specific demographics (men/women, young men, moms, boomers, teens, African Americans, Hispanics, military/veterans, seniors, et al.) and handles branding campaigns, b2b, b2c and b2g outreach, public affairs/advocacy, internal and external marketing and Corporate PR and Social Responsibility, as a Prime and Tier-Two Provider. Situation:The Dept. of Defense (DoD) and Triumph Enterprises wanted to increase awareness of the Commemoration of the 60th Anniversary of the Korean War Armistice, taking place on July 27, 2013, at the Korean War Memorial in Washington, DC. Both President Obama and Secretary of Defense Hagel were scheduled to attend the event, as well as top military brass and Korean War veterans. 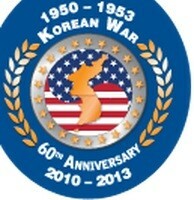 The DoD had two main goals – to increase attendance to Korean War Memorial ceremony and to promote regional events across the country, plus raise national awareness of the live broadcast of the event both online and on TV. Solution: zcomm developed a multi-faceted, integrated marketing campaign to secure pre-publicity, same day coverage and post-event coverage for the event. We secured radio and TV interviews/coverage, produced and nationally distributed audio news releases and worked directly with VWF posts to help them attract TV viewers and media for the live event with President Obama with “Pancakes for Patriots” viewing parties. We also executed an intensive blogger outreach program to drive Americans to the event and to the KW60 website and learn more about the “Forgotten War.” The day of the commemoration we produced a seven minute video recap, pulling and producing live video from the DC event that we pitched and placed on TV outlets across the US. 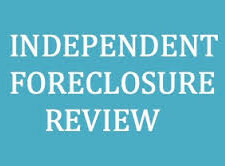 Situation: zcomm was tapped by a consortium of 14 national banks to provide broadcast communications services during the final three months of the government-mandated Independent Foreclosure Review (IFR). Our goal was to encourage eligible consumers to apply by phone or online before the end of the year via an integrated communications and grassroots program which began the day after the Presidential Election. The message was to apply if you thought foreclosure was mishandled. Solution: Throughout the campaign, zcomm strategically blanketed (67) Tier 1 & 2 media markets and target audiences with content that included IFR third-party spokespeople delivering key IFR messaging and a call to action. zcomm produced and distributed five major program tactics to strategically saturate a multicultural audience (African-American, Hispanic and Asian adults). The tactics included: Satellite Media Tour (SMT), Radio Media Tour (RMT), audio and video Public Service Announcements (PSAs), Syndicated Radio Series and Audio News Releases which generated local and national radio and TV coverage and online content. zcomm consistently monitored and reported to stakeholders on both the progress and results of the IFR program. The call center reported record calls in November and December and the Hispanic call lines were so overwhelmed during zcomm’s outreach they had to increase the number of operators. The final report to client included a hefty 585% ROI. 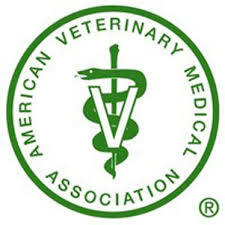 Situation: zcomm and AVMA have enjoyed a successful partnership for over eight years. Throughout multiple campaigns, zcomm has remained focused on helping raise awareness of AVMA programs, and the contributions of member veterinarians. zcomm was tasked with distributing AVMA’s messaging to national and target audiences. Solution: From day one, zcomm focused on building a strong foundation by developing audio, video and digital content and creating earned media opportunities. zcomm produced and distributed multiple podcasts and audio news releases (in English and Spanish), secured countless interviews for AVMA spokespersons via SMT/RMTs and delivered successful blogger outreach programs that included client content on social media sites, in English and Spanish. Over the years we’ve generated millions of listeners, viewers and online followers.